That dark blue line is very interesting. The tunnel is under there somewhere, but no access is known. Spent hours looking for it once and never found it. May pay another visit sometime. Yes, you can walk all the way through. Comes out near to Kelvinbridge underground station, but there is a metal gate although has been open on my visits. For a map, go to page 5 of this thread. Ta for that, I got a few strange looks from residents when taking the photo. 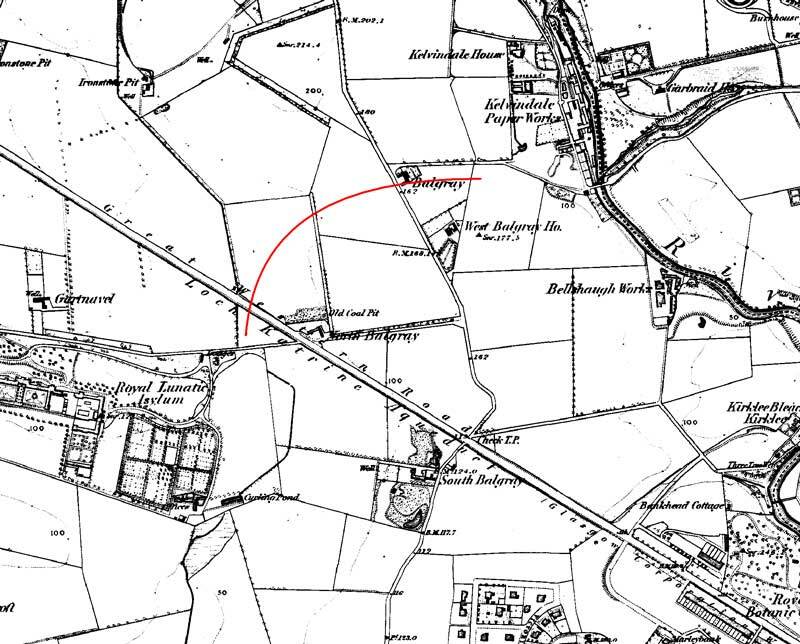 This is an extract from an 1865 map from oldmaps.co.uk. It shows how Balgray tunnel got it's name. You may notice that the Royal Lunatic Isylum is now more commonly known as Gartnavel Hospital. Thanks for the info on Balgray. After I seen the reply, I remember looking on oldmaps.co.uk a while back and noticed Balgray on there. not 100% sure, although will probably have been in the 1960-1962 period with the Beeching cuts. sorry for the spelling mistake on the maps, it should say Kelvinside, not Kelivinside. 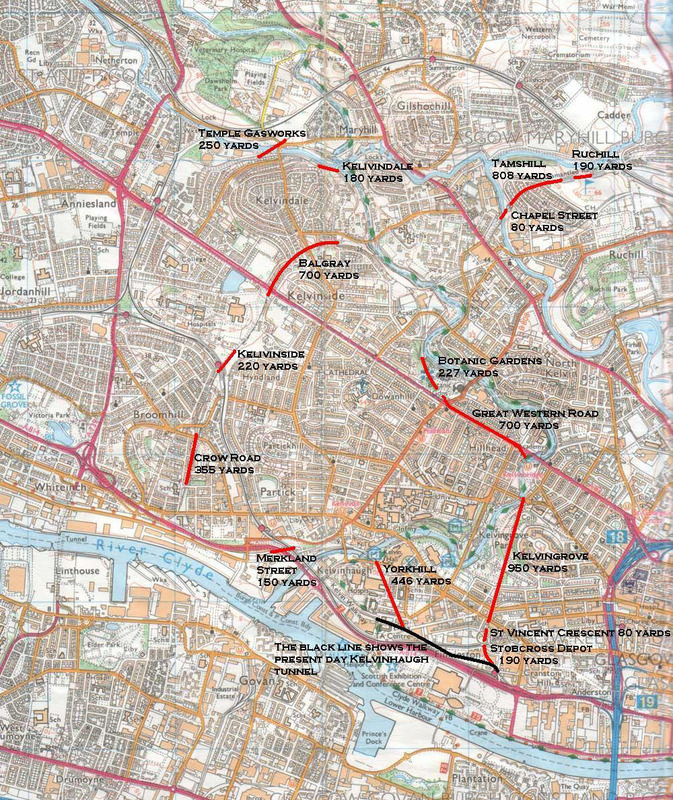 These are some map scans of Glasgow showing some disused tunnels in the area. They may be helpful in your explorations. 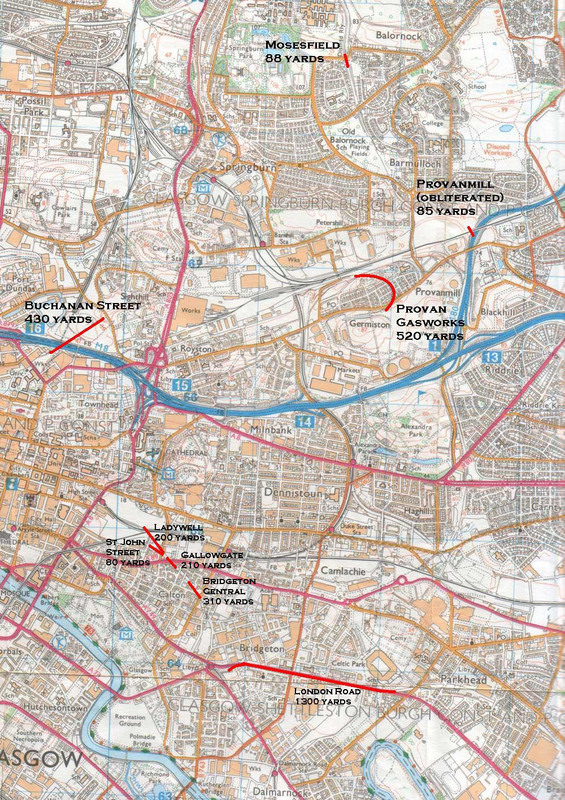 The tunnel was called Merkland Street and is 150 yards long. I visited the area last year and it was not possible to walk due to the amount of scrap metal that was guarding the entrance. I'm interested by your pictures though and gives me a better picture of what it was like.